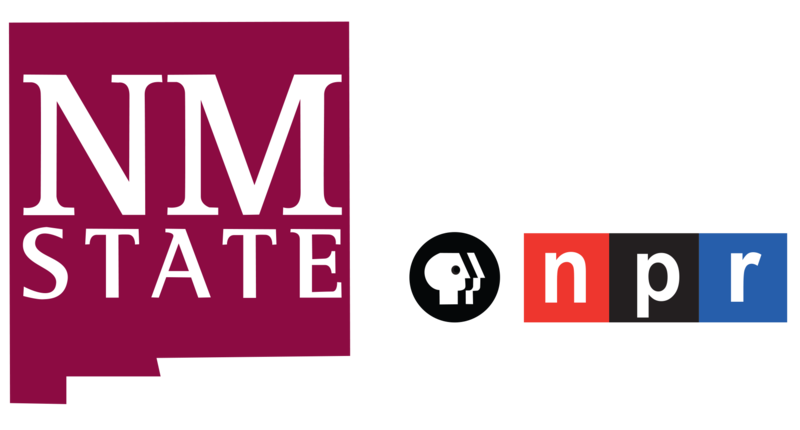 To come up with new solutions to environmental problems, engineering students from across the country competed in an environmental design contest hosted by New Mexico State University's College of Engineering. Michael Hernandez reports. From air and water pollution to climate change, there’s no shortage of problems facing the environment. But future engineers are up to the challenge of solving them. More than 150 engineering students and faculty from universities nationwide met at the New Mexico Farm & Ranch Heritage Museum to test prototypes they designed and built to solve tasks. Tasks like using drones to measure the emission levels of industrial smokestacks or purifying drinking water with silver ions for astronauts. Vanessa Coria, a chemical engineering senior from the University of California, Riverside is taking part in her third straight competition. Using solar energy, Coria and her team created a thermal drying closet to replace the household tumble dryer. The closet collects the sun’s heat to dry clothes and can be automated with a microcontroller. Since the clothes hang to dry, Coria said there’s zero waste from lint. “As for emissions... we're letting out air and that's not a hazardous effect at all for the system. Another advantage is that we are reducing the cost of electricity and by reducing it, we're helping those around us in the communities that can implement it and make it more sustainable for them. Because at the end we want to have a system that is sustainable and that can last longer," Coria said. The design won Coria’s team third place in its category. A handful of teams from New Mexico State University also competed. From left, Kim Fetherlin, Annie Carrillo, Michael Justesen and Juliano Penteado De Almeida present their project to a competition judge. Fetherlin's team won first place in the open task category for their design "Increasing Water Recovery and Reducing Membrane Scaling Using Innovative Electromagnetic Field (EMF) and 3D Printed Membranes." Civil engineering senior Phonzo Cisne and team developed a special resin that removes phosphorus from runoff waste produced by animals raised in factory farms. “We wanted to do this so we can actually help the environment but at the same time we also wanted a system that was cost-effective by making the phosphorus into fertilizer," Cisne said. "The thing is that we don't want to throw away phosphorus because it's also a very vital nutrient for growing plants. So if we can retrieve it, that would be amazing and with this process we've been able to actually retrieve a bunch of phosphorus while at the same time removing it." Cisne said it’s also important to keep phosphorus out of local water sources like the Rio Grande because it can cause algae blooms that kill fish. Howard Wallace, a former Boeing Company employee, has been a judge in the competition since the early 2000s. He said he’s impressed by how students are applying newer technologies like 3D printing and drones to address environmental issues. While the contest gives students hands-on career experience, Wallace said they must also learn how to communicate their designs to both judges and those with different educational backgrounds. That’s no easy feat, especially when it comes to topics like reverse osmosis, a process to purify drinking water. 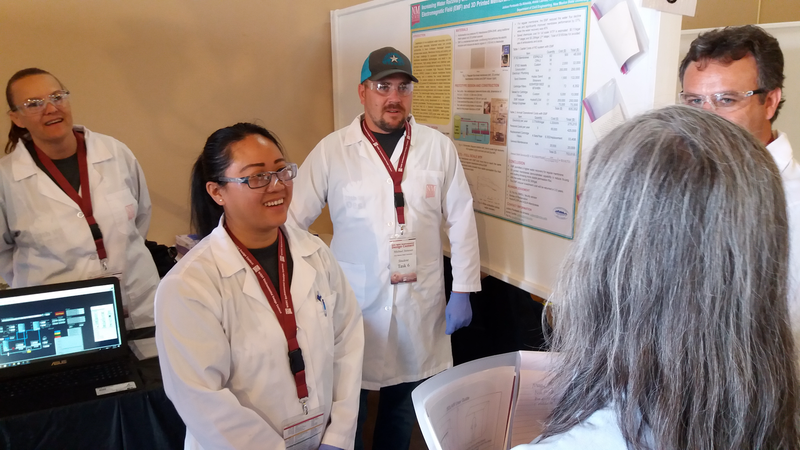 An NMSU team, led by civil engineering senior Kim Fetherlin, aims to reduce the amount of chemicals needed to prevent calcium from building up on the membranes the water flows through. Fetherlin said her team was inspired to improve the technique after learning news of a desalination plant proposed for Santa Teresa. “We have a lot of brackish water underneath us. We don’t have a lot of fresh water. We need to come up with something in New Mexico to be able to desalinate this water and make it drinkable and maybe cheaper. Maybe not use any chemicals or maybe use just a little bit of chemicals. But we’re hoping to do it with the EMF, electromagnetic field instead of use up all these chemicals that are negative for the environment," Fetherlin said. Fetherlin’s team won first place in its category. But win or lose, she said the fun she had with her teammates developing new ways to help the environment was a reward in itself.